The leading current hypothesis of age-related dementia (Alzheimer’s disease) considers this a consequence of the beta-amyloid peptide or of the intracellular skeletal protein tau, causing breakdown of the cerebral capillary bed. External trauma to the head in boxing and football is known to induce similar dementia ( dementia pugilistica, chronic traumatic encephalopathy), usually showing onset years after the individual’s retirement from active sport. At autopsy in dementia pugilistica, haemorrhage from cerebral vessels is prominent. This presentation reviews evidence that age-related dementia (ARD) is caused by internal trauma to vascular bed of the brain, by the pulse itself. Between the ages of 50 and 80 years, the heart beats ~109 times and, because of the low impedance of the cerebral circulation, each pulse penetrates to the cerebral veins. 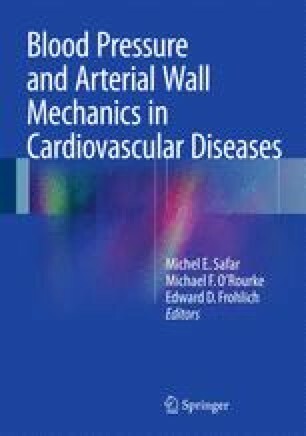 Further, the stiffness of the walls of the aorta and great arteries increases with age; and the amplitude of the pressure pulse in cerebral vessels (a measure of the cerebral pulse intensity) increases several fold. This pounding of cerebral vessels by the pulse induces (we argue) haemorrhages from cerebral vessels. When the vessel that haemorrhages is large, the patient may display symptoms of stroke and any resulting dementia is designated ‘vascular’. When the vessels that haemorrhage are small (capillaries), the patient may experience no acute symptoms; but the cumulative effect of many such haemorrhages becomes evident as loss of memory and of cognition. The pathologies which Alzheimer described in the demented brain (senile plaques, neurofibrillary tangles and inflammation) occur, we argue, as a result of haemorrhage. The age at which dementia becomes evident is determined by the fragility of cerebral vessels, which may vary between individuals with genetic and lifestyle factors. The hypothesis accounts better than previous proposals for the greatest risk factor for dementia – age.